2. Finding a happy medium home in EVE, close enough to Evati to be only a few jumps away in case of action, and in high-enough security space so that I can do some moneymaking without losing a ship. It’s tough to find the right place, with agents who are willing to talk to me, reprocessing plants, etc. I must have flown around for ages, and that was even with the help of EVE Agent Finder. 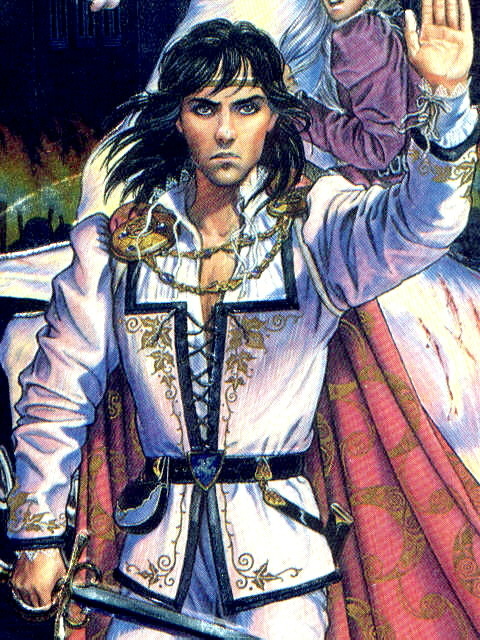 Anyway, I now have a very pretty boy with long black hair who is quite foppish in the way that he dresses. He’s my own personal Vanyel. :) I took Rogue as a secondary class, which should make for a pretty effective DPS character. Oops, it’s time to go laze around a bit more…duty calls. Hope you all are having a wonderful weekend.